Don't risk facing death without a Priest by your side. Make sure that Emergency Medical Personnel know what you need in the case you can't communicate. 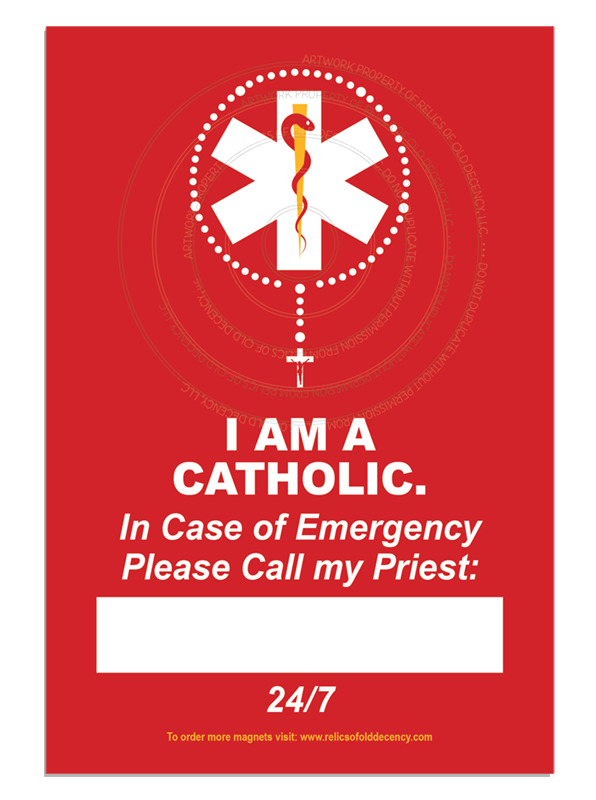 Make your desires known by placing this 6x4 inch magnet on your (or your parents') fridge, where the medics can easily see it.